I meet too many salespeople who think networking with people they know is the same thing as prospecting. Don’t kid yourself! 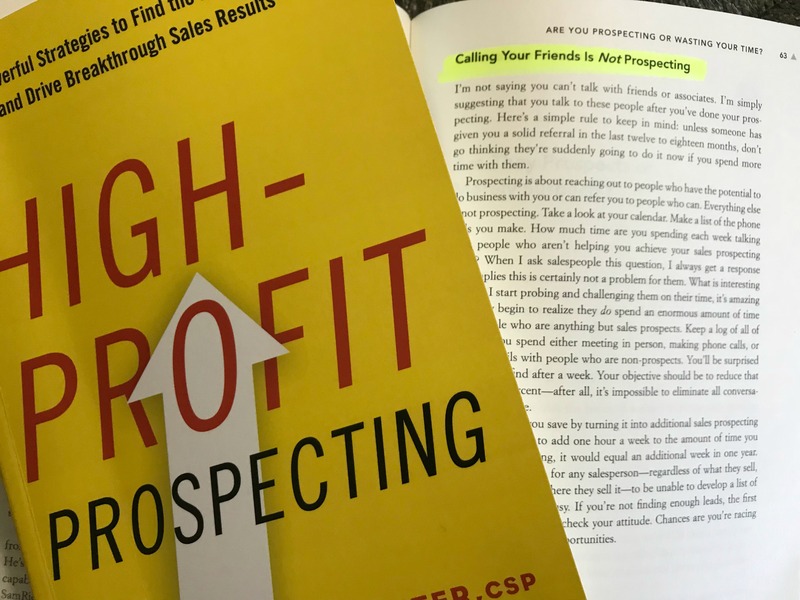 In my book, “High-Profit Prospecting,” I give you specific step-by-step processes to help you not only feel more comfortable prospecting, but also to do it with regularity and enthusiasm. Invest in yourself with my book, and I am confident you’ll see your pipeline grow not merely with quantity, but with quality! Quality prospects are what lead to high-profit sales. And don’t forget how a coach can help you excel in your sales career! Invest in yourself by checking out my coaching program today! PrevPreviousSales Motivation Video: Average is the Bane of Greatness!